WE ARE ON THE SCENE IN 2019!! celebrating 10 years OF SOCAFIT usa greatness!! "We become what we think about, energy flows where attention goes"
We do not own the rights to the music. 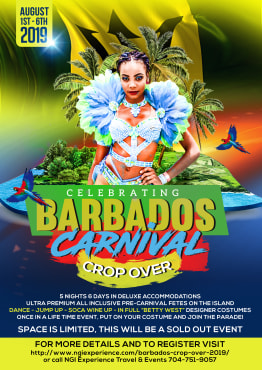 1st Annual SocaFit USA Island Experience to BARBADOS Carnival!! !